A double chin is a stubborn area of fat that resides below your chin. 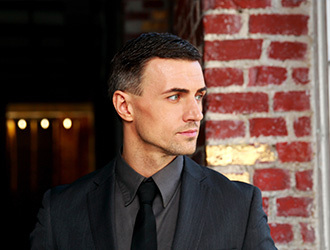 At the Rejuvenation Center, we offer a solution to decrease the amount of fat, resulting in a slimmer appearance in your face and a more defined chin. 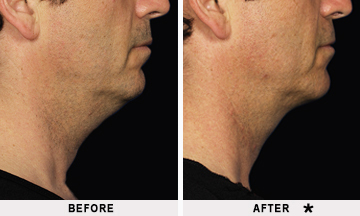 If you are someone who is tired of excess fat below your chin, the Rejuvenation Center has the solution! Contact us today to schedule your free consultation or browse our website to learn more! Do you have, or have you had trouble swallowing? Have you had cosmetic treatments on your face, neck, or chin? Do you have bleeding problems? Have you had, or do you plan to have, surgery on your face, neck, or chin? Do you have any medical conditions in or near the neck area? Are you pregnant, or do you plan to become pregnant? Are you breastfeeding, or do you plan to breastfeed? In addition to the questions listed above, you will be asked to provide a list of all the medications that you take, including any prescription medications, vitamins, over-the-counter medications, and herbal supplements. As with most medications, when taking Kybella®, there are several possible side effects. Some of the more severe side effects include trouble swallowing, and nerve injury in the jaw that can result in facial muscle weakness or an uneven smile. Some of the most common side effects of Kybella® include swelling, redness, areas of hardness in the treatment area, pain, bruising, and numbness. This is not a complete list of the possible side effects of Kybella®. If you have any questions, or you would like to speak with one of our professionals to see if this treatment is right for you, contact the Rejuvenation Center to schedule a free consultation.